Access The Access Level assigned to the feed. Trash. 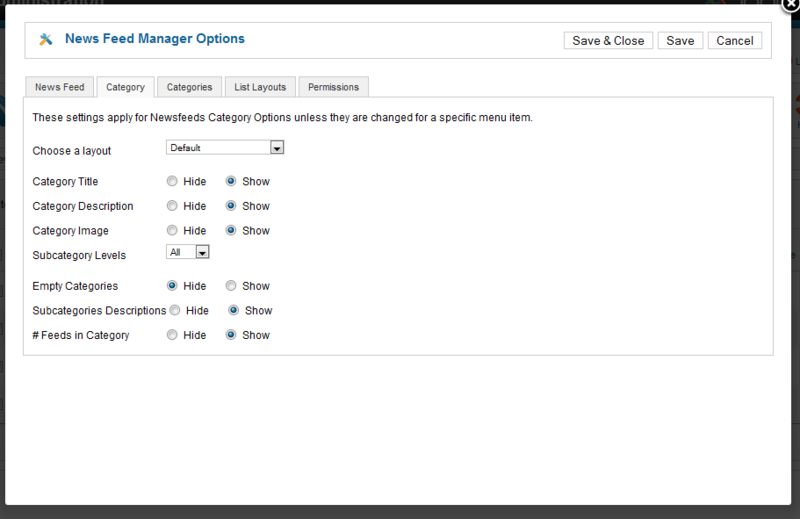 Select one or more Articles and click on this button to move them to the Trash Manager. Note that Articles can be restored from the Trash Manager as long as they are not permanently deleted. See Trash Manager for more information. 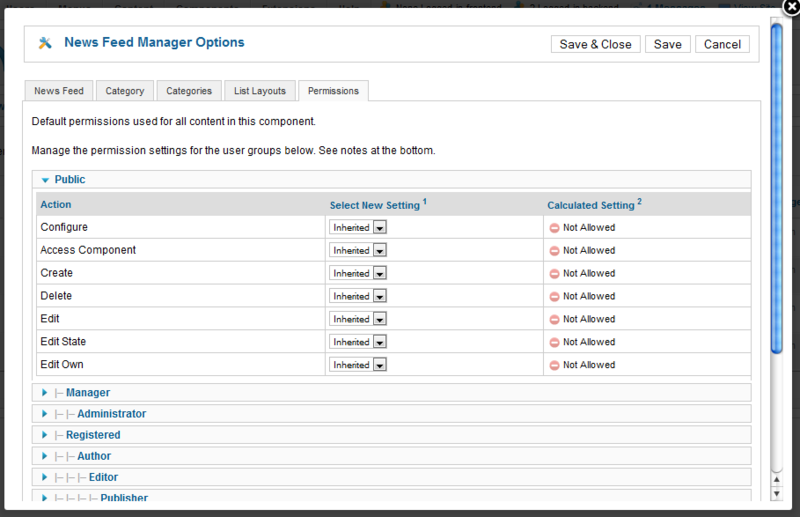 Options Open the configuration window. This window allows you to set default parameters for feeds. Display Select: Can Show or Hide the Sleect dropdown listbox. Table Headings: Can Show or Hide the headings in list layouts. 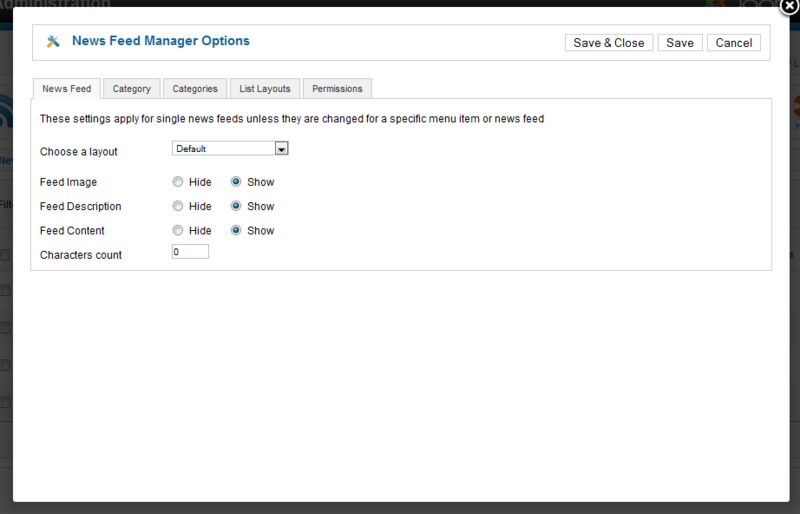 Configure:Allows users in this usergroup to edit and configure the Newsfeed component. Access Component: Allows users in this usergroup access the Newsfeed component. Create: Allows users in this usergroup to create content in the Newsfeed component. Delete: Allows users in this usergroup to delete content in the Newsfeed component. Edit: Allows users in this usergroup to edit content in the Newsfeed component. Edit Own: Allows users in this usergroup to edit content they have created in the Newsfeed component. Select Language. Use the drop-down list box to select the language.